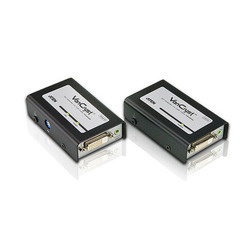 We are a leading Wholesale Trader of two kvm extender, kvm extender 250a, dvi audio extender, usb extender and kvm extension kit from Mumbai, India. 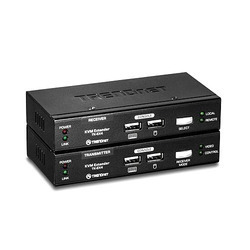 On offer from us is superior quality Two KVM Extender for our respectable customers. 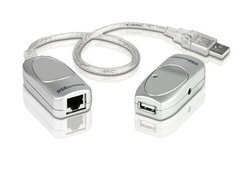 The offered extender allows access to a computer system from a remote console. It is perfect for use in any type of installation where the user needs to place the console where it is conveniently accessible. 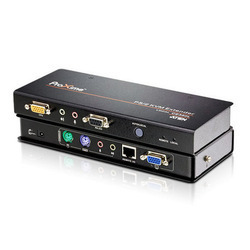 Our valuable customers can avail from us qualitative KVM Extender. These products are perfect for factory and construction sites, or any type of installation where the console needs to be in a conveniently accessible location. Our range features a custom ASIC that ensures the utmost in reliability and compatibility. 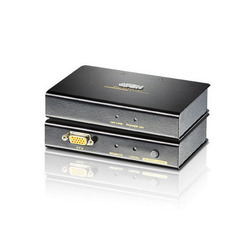 We are counted amongst the reliable organizations that are engaged in manufacturing, supplying, distributing, wholesaling and exporting DVI Audio Extender. Our experts do not compromise with quality and make sure high quality material is used for manufacturing. Also, we offer customization facility of the offered range. Being a quality conscious organization, we are engaged in manufacturing, supplying, distributing, wholesaling and exporting high quality USB Extender. All these products let you locate the user USB device or hub from the computer, overcoming the typical USB cable limitation. We offer these extenders at industry-leading rates. We are a trustworthy organization that is engaged in manufacturing, supplying, distributing, wholesaling and exporting KVM Extension Kit. All these kits are manufactured under the close supervision of our highly experienced professionals using high quality material. The material used for manufacturing these kits is sourced from certified vendors of the market.